Awaken Love’s sponsorship program is £25 (€30/$35) a month. 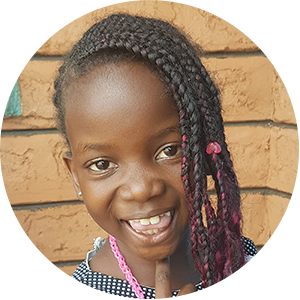 By sponsoring a child you are helping them with their education, providing food, clothing and also supporting them with any medical attention that they may need. When you give it makes a huge difference, they realise that they are loved by people in the world and it empowers them to go on with life. When you sponsor a child you will receive letters from them, plus you have the opportunity to write to them. To sponsor a child, kindly contact us and we will get back to you very shortly. There are other ways that you can support our work in Kenya. You can sponsor our projects such as helping the widows, or give a one-off donation today. Awaken Love is a registered charity and we do NOT keep anything for administration costs. 100% of the money that we receive goes directly to Kenya.